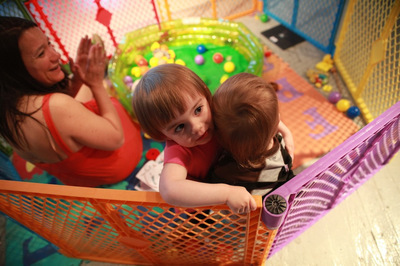 Held at Grace Exhibition Space in April 2013. 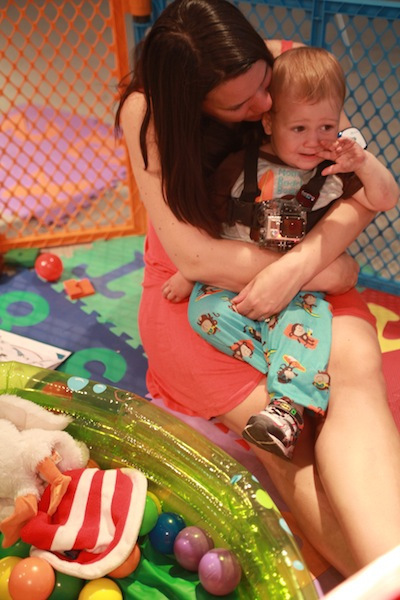 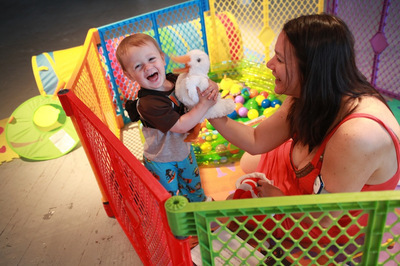 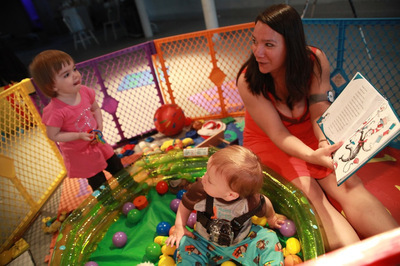 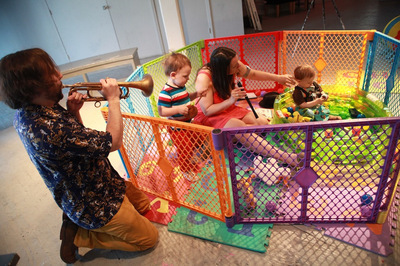 Marni Kotak and her son, Ajax, invited the community into their lovely play space in the performance venue, equipped with a ball pool, play tube, children’s books, wooden toys, musical instruments and more! 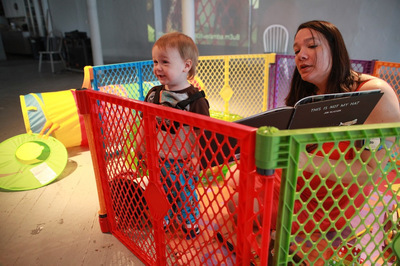 The performance was documented from Ajax’s point of view, and presented via live-feed projection in the space, as part of the mother and son's ongoing collaboration called Raising Baby X: Little Brother.